This summer seems really promising when it comes to the movies that are due to enter our screens. Therefore we’ve decided to give you a few hints on what we are anxious to see before September. During holiday I have to go to the cinema and watch “Harry Potter and the Deathly Hallows: Part 2”. It will be the final movie about the adventures of Harry Potter. I’m very interested in this movie, because I’ve liked the adventures of this wizard for a few years. I watched every movie about him. Furthermore part 1 of it was stopped in a very exciting moment. I think I will know every secret of Harry’s world. In the summer I would like to see “The Smurfs”. I think this is no small event, because Smurfs are one of the most watched cartoons. And when these little creatures come into on the big screen they will certainly cause much confusion. This part is telling that the smurfs with Gargamel and other characters will move to New York and begin their great adventure. I would like especially to watch this movie, because I also watched the cartoon as a child and I want to see what these creatures look like back again, and if they manage to outwit the evil Gargamel. You can see it only in August, but I think that to watch such a film is worth a long wait. There’s a plethora of superhero films coming out this summer, so choosing the one that I can’t wait to see the most can be tricky job. 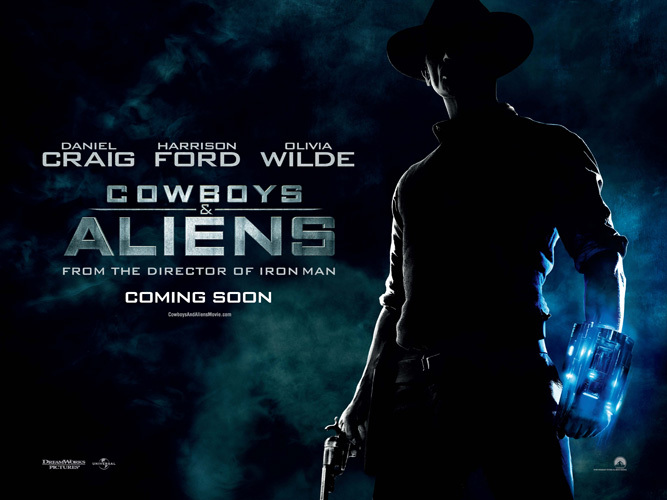 After all, Green Lantern, Thor or Cap’ America all seem like a good way to spend an evening over a box of popcorn.There is nonetheless one film based on a comic book (or graphic novel if you wish) that I’m quite more curious about than the rest – “Cowboys and Aliens”. I don’t know what I find more compelling – the outrageous storyline, or the star-studded cast. Or maybe its both that have me hanging on the edge of my seat. Will the movie blow me out of the water? Wait and see for yourself!